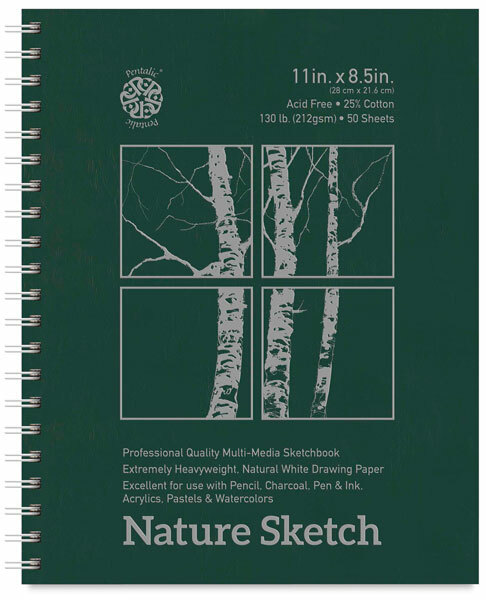 The pages in this sketch book are heavyweight, 130 lb (211 gsm), 25% cotton sheets with a toothy, rough vellum surface, suitable for pencil, charcoal, ink, acrylics, pastels, oil pastels, watercolor pencils, watercolors (light washes), and tempera. The books feature a sturdy, foil-stamped cover, a heavy chipboard back that prevents buckling, and double wire spiral binding. 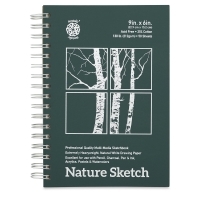 A portion of every sale benefits the American Wildlife Foundation. 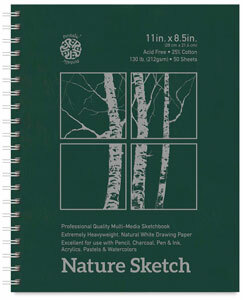 ® Pentalic is a registered trademark.